A Day Late and A Dollar Short: Pike Nurseries - The 10 Commandments of Grilling! Pike Nurseries - The 10 Commandments of Grilling! The start of summer is right around the corner, which means plenty of planting, watering, fertilizing and mulching. A long day of playing in the dirt can really work up an appetite, and there’s nothing better than enjoying a tasty, hot-off-the-grill meal. To kick off the season of sizzle, Pike Nurseries helps grill masters everywhere start the fire and satisfy those summer cravings with the 10 Commandments of Grilling. Whether it’s for a Memorial Day grilling extravaganza or a family picnic on the patio, Pike Nurseries has the perfect tips, tricks and grill accessories to get homeowners grilling and barbequing like a pro! Be prepared and organized. Before you start, make sure you have everything you need – food, marinade, basting sauce, seasonings and equipment – at grill-side. Pike Nurseries offers a great selection of grills, including the Weber Gas Grills and the Kamado Joe ceramic grill, as well as tools to get you fully prepared and ready to grill. Gauge the fuel. When using charcoal, light enough to form a bed of glowing coals three inches larger on all sides than the surface area of the food you're planning to cook. When cooking on a gas grill, make sure the tank is at least one-third full. For charcoal that burns cleaner, hotter and longer than other brands, try Kamado Joe 100% Natural Lump Charcoal, available at Pike Nurseries. It can even be relit for multiple uses, so you don’t have to worry about your grilling habits burning a hole in your wallet. Preheat to the correct temperature. Grilling is a high-heat cooking method. To get the perfect seared crust, charcoal flavor and grill marks, you must cook over a high heat of at least 500 degrees. For grill masters looking to perfect this high-heat cooking method, the Kamado Joe Ceramic Grill offers high quality heat retention properties and even includes a smoker and an oven for maximum cooking versatility. Always keep it clean. Clean the grate twice: once after you've preheated the grill and again when you've finished cooking. Use the edge of a metal spatula to scrape off food debris and a stiff, long-handled wire brush to finish scrubbing the grate. Grease the grate. Lubricate the grate just before placing the food on top, but only if necessary (some foods don't require it). Using a pair of tongs, rub the grate evenly with a folded paper towel soaked in oil to help eliminate sticking. Marinade at the right time. Bastes and marinades based from oil and vinegar, citrus or yogurt can be brushed on the meat throughout the cooking period. When using a sugar-based barbecue sauce, apply it toward the end of the cooking time to protect the sauce from burning. Never stab. Stabbing the meat can drain its juices and dry it out. The proper way to turn meat on a grill is with the appropriate equipment, such as tongs or a spatula. Keep it covered. When cooking larger cuts of meat and poultry, such as a whole chicken, leg of lamb or prime rib, use the indirect method of grilling and keep the grill tightly covered. Every time the lid is lifted, you add five to 10 minutes to the overall cooking time. The Kamado Joe Heat Deflector is a helpful tool to use when cooking with indirect heat. It circulates the heat around your food slowly, which keeps meats moist and tender and reduces the potential of charring. Let it sit. Remove the meal from the grill and let it sit for a few minutes before serving. This allows the meat juices, which have been driven to the center of a roast or steak by the blazing heat, to settle and return to the surface. Stay with the grill. It's easy to cook on a grill, but it demands your undivided attention. Once you start grilling something, stay with it until it's cooked. Ever committed to its customers’ gardening success, Pike Nurseries takes pride in taking the guesswork out of gardening. 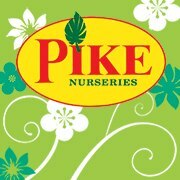 Offering superior knowledge, quality and selection in a friendly, caring environment, Pike Nurseries has been an Atlanta icon for over 50 years. Founded in 1958 by Pete Pike, its ability to adapt to market conditions and community needs has made it a respected Southern institution. As Atlanta’s oldest garden chain, Pike Nurseries has 16 retail locations in the Atlanta, GA; Greensboro, GA; and Charlotte, NC areas and employs the most certified garden experts. Now led by CEO Mike Kunce, Pike Nurseries looks forward to continued growth as it keeps Georgia and North Carolina beautiful, one landscape at a time.